Founded by Harvey Parker in 1855, he was the hotel overseer and resident until his death in 1884. Harvey was well known for his interaction with guests and providing pleasant accommodations. 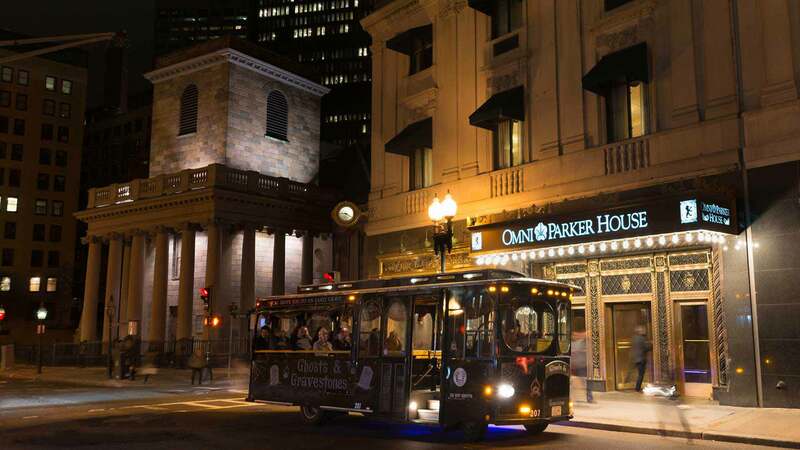 The Omni Parker House is situated in the heart of downtown Boston right along the Freedom Trail and other historic sites making this a perfect stay for those visiting Boston. You’ll experience world-class services and contemporary amenities, as you would come to expect at America’s longest continuously operating hotel. Is it Harvey or something else? A bearded gentleman dressed from the colonial era has been sighted on the 9th and 10th floors and once at the end of a guest’s bed in Room 1012. The spirit looked concerned sitting there staring back at the young woman. Perhaps he wanted to know if the guests were enjoying their stay. Could this be Harvey Parker? Many hotel staff and visitors believe so. Guests have also recounted witnessing orbs of light hovering down the 10th floor hallways and then mysteriously vanishing. The 3rd floor certainly has its share of paranormal activity as well. Room 303 guests report strange shadows throughout the room and the bathtub water would just turn on randomly by itself. Management eventually turned this room into a storage closet for unspecified reasons. Some speculate that it was because a guest committed suicide in this room; but no one knows for sure. Stephen King’s “1408” was inspired by the events occurring in Room 303 – maybe grab a copy for a haunting read while staying in the hotel! That’s not all for the unusual 3rd floor antics. The elevator would regularly stop on the 3rd floor without pushing the button or when no one was around. Charles Dickens would regularly frequent the hotel and would always stay on the 3rd floor and actress Charlotte Cushman died on the 3rd floor in 1876. Throughout the 3rd floor, and the entire hotel for that matter, guests have also described the sound of rocking chairs creaking late at night even though there are none. Grab a seat on our Boston ghost tour and you can hear more about Harvey and other famed ghost stories that took place in this haunted city. Or for those of you who are brave enough, you can stay the night at the Omni Parker House since the ghosts in one of America’s most haunted and historic hotels seem to linger around. This is a central location for many of the things to do in Boston so if you become too frightened, you can escape to some of Boston’s best attractions in the area.